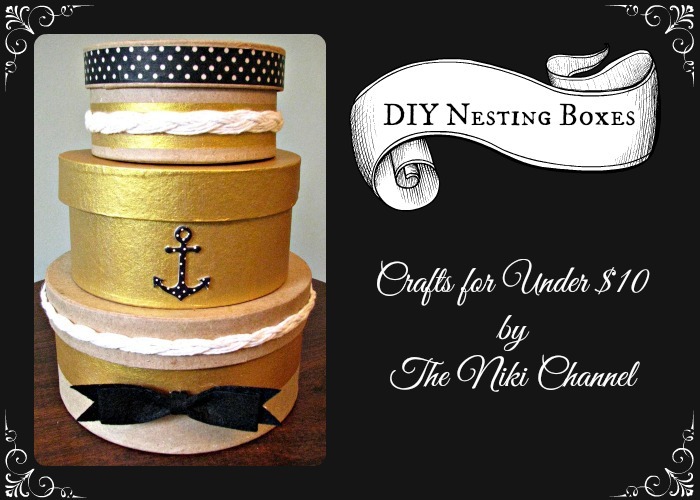 When Crafty Hangouts and Consumer Crafts challenged me to create a video craft tutorial showing a basic craft for under $10, I knew the Consumer Crafts paper mache nesting boxes ($6.97) would make a perfect crafty demo that I could use in my new home. 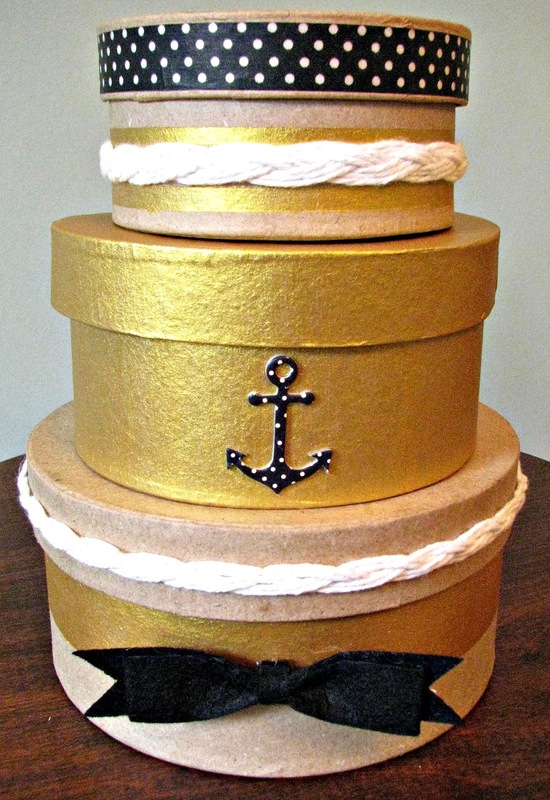 Since I am totally digging gold accents and nautical rope, I started there. The anchor embellishment, mod podge rocks stencil and washi tape (also available at CC) were perfect focal points. Check out the video below, then scoot to the bottom of this post and enter to win the awesome prize pack provided by Consumer Crafts. For more crafts for $10 or less, head on over to Crafty Hangouts. For more DIY videos from yours truly, head on over to The Niki Channel on YouTube. Have a fabulously crafty day! Thanks for this tutorial. The rope and anchor look great. Would love to try this out soon.